Hillsborough County Sheriff’s Office Master Deputy Roger Bradley, a 20 year veteran and a School Resource Officer for the past eight years enjoys his assignment of keeping his eyes on the teachers, staff and students that attend Burns Middle School. But as the school soccer coach, this year Bradley had another reason to be proud. Thanks to his young soccer players’ hard work, commitment and talent, the school enjoyed one of the best seasons in school history. 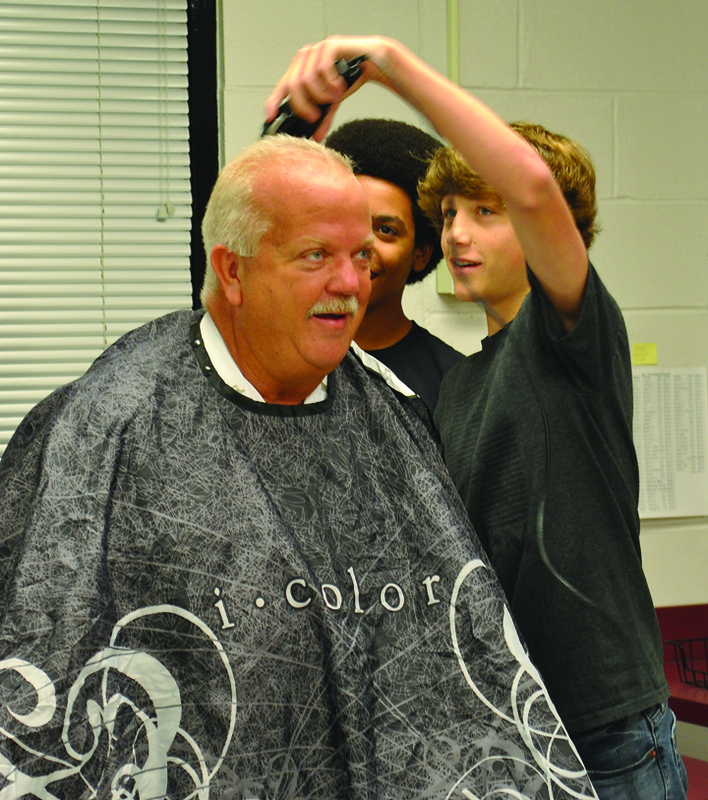 Although Bradley could not be happier for his team, the success ultimately led to the shaving of his head by his students, who did not hesitate to take turns getting the job done. Bradley’s shaved head became a shiny indication of how well the season turned out. “We went undefeated in regular season and made the playoffs,” Bradley said, adding that he has been fortunate to coach some great kids and that this year’s success is the result of a great team effort built on a solid defense as well as the team’s ability to shut things down, covering every angle and good communication. Bradley emphasized that coaching gave the students a chance to view him differently, while the staff at Burns have been a great support making his job easier and more enjoyable. Bradley is also proud of being one of the founders that helped get Brandon Area Youth Soccer League (B.A.Y.S.L.) off the ground. “I grew up in Valrico and have seen many changes in the area, but when I had the chance to work in the school resource section, I jumped at the chance,” said Bradley. For more information about Burns Middle School, visit www.sdhc.k12.fl.us.